Hello to all clarinetists in the Clarinet Mentors Community! I am surrounded by great music these days. Lots of fun Christmas concerts, and in a few days I start The Nutcracker, which I never tire of playing. 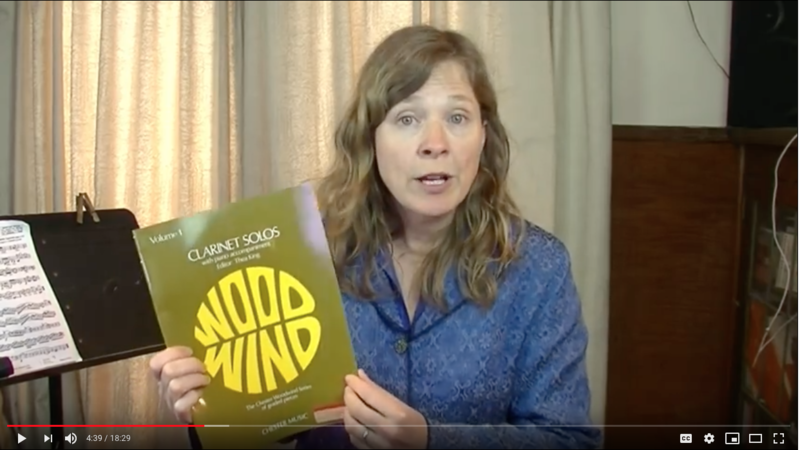 A few days ago I sent out an invitation to join my new clarinet holiday music course, which is filled with great music and mini lessons to help you play better. I have to say, people are really enjoying it - not only the fun music, but how much they are learning each day. I hope you enjoyed the gift of Silent Night from that holiday course. Although you will receive a mini-lesson every day for a week, with a new piece of music each day, you can keep these lessons for years to come. As we come into Christmas and New Year's, I wish you and yours a very prosperous holiday season and New Year. I have received so many nice notes from members of the Clarinet Mentors Community lately, and am very grateful that the worldwide clarinet community is so wonderful.